The Bender JCC ECC invites you to an evening with the associate producer of Mister Rogers’ Neighborhood, Hedda Sharapan. Ms. Sharapan, a Senior Fellow at the Fred Rogers Center, has been part of the program since its inception 52 years ago. 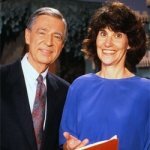 Ms. Sharapan will delight us for an evening of treasured videos and stories from her tenure of over 52 years with Fred Rogers and his company. This evening may touch you in ways you didn’t expect. 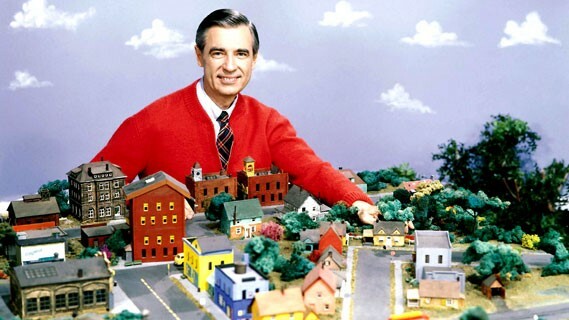 Don’t let the simplicity of the program fool you — Mister Rogers’ Neighborhood is full of timeless messages for all of us, as parents, as seniors — young and old alike. Hedda Sharapan is a Senior Fellow at the Fred Rogers Center in Pittsburgh PA. She began working with Fred Rogers 52 years ago on the very first taping day of Mister Rogers’ Neighborhood on October 1966, while completing her M.S. in Child Development at the University of Pittsburgh. Over the years she served as Assistant Director, Assistant Producer, Associate Producer and Director of Early Childhood Initiatives for his small non-profit production company. Currently, she is a Child Development consultant for Fred Rogers Productions, as a script consultant for its highly-acclaimed PBS children’s series Daniel Tiger’s Neighborhood and other projects. For more information, contact Ora Cohen Rosenfeld or call 301.348.3839.